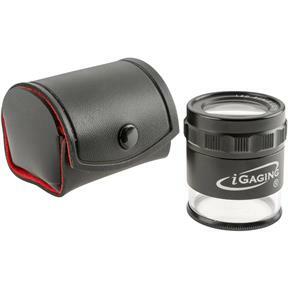 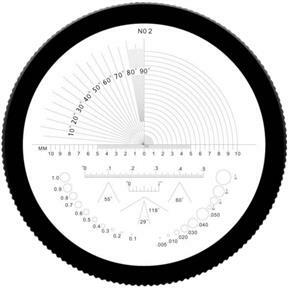 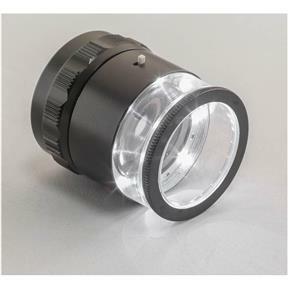 This super high quality scale loupe from iGaging is illuminated and distortion free. 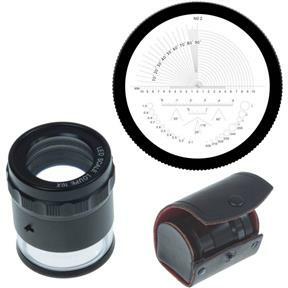 The illumination is provided by 8 super bright LEDs and the loupe comes with a removable scale for measuring radii and angle length. 1" in diameter and includes a protective leather case, as well as a 4x AG9 battery.